Ehup. Another Yorkshire Day has passed me by and not only did I forget to wear my white rose, I didn’t even make a pudding. 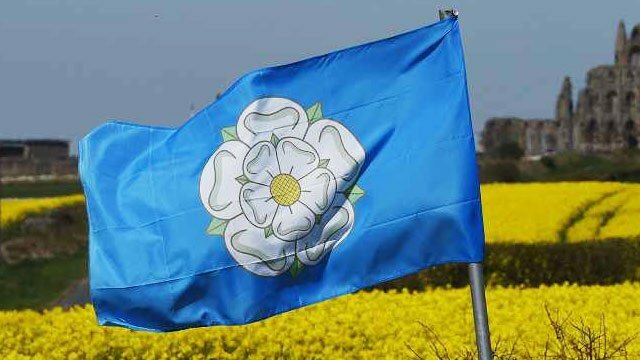 Established in the town of Beverley in 1975 as a “protest against the local government re-organization of 1974”, which altered the traditional boundaries of Yorkshire, Yorkshire Day - August 1st - is a celebration of the northern county’s rich heritage. It’s a cultural affair with events that include food festivals, Morris dancing, and a Yorkshire Pudding-tossing competition. The latter being staged annually at York Maze in Elvington, along with a Straw Bale race. From all accounts, this year’s Pudding Toss “saw fierce competition” with “a variety of throwing techniques on display”. The eventual winner threw his pudding a whole 34 meters - 111.549 feet (thank you Siri). For a day so steeped in tradition, one has to ponder why the competition organizers are using the metric measuring system and not feet and inches? One also has to wonder what possible reward could be at stake given such an Olympian feat of achievement? The answer to the first pondering is as mysterious as the rules of Yorkshire’s first sport; cricket. A game that can be played over a course of five days, for six hours a day and still end in a draw. As for the Pudding Tossing champion’s prize, there is no mystery there. It’s a crown...made from Yorkshire pudding. 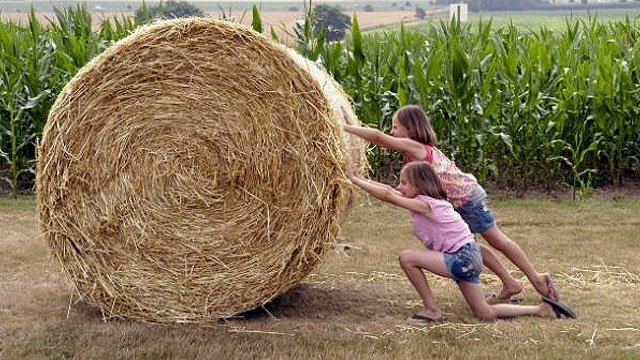 The traditional Straw Bale Race is also pretty straightforward, for the aim of that contest is to “roll a giant round bale of straw along a 50m course.” No instructions required. 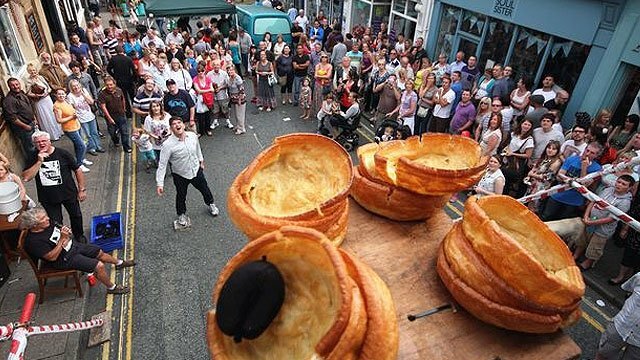 The annual August 1st Pudding Tossing competition is not, of course, to be confused with the annual Ramsbottom World Black Pudding Throwing Championships, which take place in September. Competitors at that event attempt to knock down stacks of Yorkshire puddings from a 20ft stand using black puddings, i.e. sausages made from congealed pig’s blood. It is apparently a re-playing of the ancient grudge between the warring Houses of Lancaster and York. Although the competition only started in 1986, the Medieval food fight dates back to 1455 when troops from both sides ran out of ammunition and had to resort to throwing food at each other. Black puddings from Lancashire and Yorkshire puddings from Yorkshire. Note the emphasis on the word apparently. Yorkshire Day also pays homage to the county’s ancient foundations; foundations which date back to 875 AD, when it became the Kingdom of Jorvik, ruled by the Danes. That date is significant as it determines the time of the traditional readings of the Yorkshire Declaration of Integrity (a statement to the allegiance of Yorkshire). 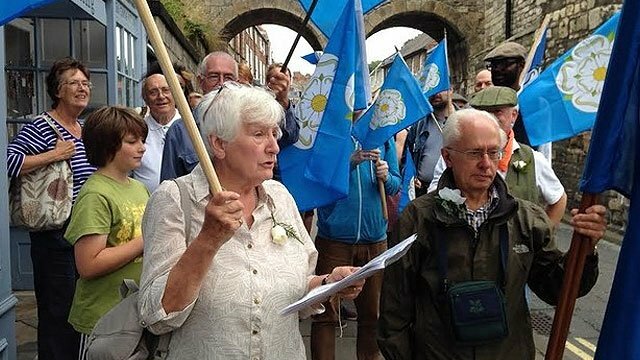 A central part of Yorkshire Day celebrations, the readings are read out in four different dialects - Latin, Old Norse, Old English and Modern English - at the four ancient entrances to the city of York. The time the readings commence is different each year – by one minute – to coincide with the number of years since the first recorded reference to the Ridings of York in the Anglo Saxon Chronicles of 876 AD. This year they were read out at 11:40am. August 1 was chosen as that was the date in 1759 when “soldiers from Yorkshire regiments placed white roses alongside fallen comrades on the battlefield of Minden in Germany”. And that’s a fact. I (your name) being resident in the (East/North/West) Riding of Yorkshire declare: that Yorkshire is three Ridings & the City of York with these boundaries of 1140 years standing; that the address of all places in these Ridings is Yorkshire; that all persons born therein or resident therein and loyal to the Ridings are Yorkshire men and women; That any person or corporate body which deliberately ignores or denies the aforementioned shall forfeit all claim to Yorkshire status. These declarations made this Yorkshire Day 2015. 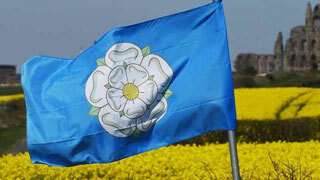 Yorkshire for ever! God save the Queen!